The Cobbles is a beautiful fisherman’s cottage in the heart of St Ives, just minutes from the harbour, galleries, shops and beautiful sandy beaches. The old fishing port of St Ives is Cornwall’s jewel in the crown with mild climate, spectacular beaches and a lively and vibrant artist’s colony, that few visitors fail to be attracted to. 30% DISCOUNT for under occupancy parties of 2/4 people excluding peak weeks, between January-May and September –December. 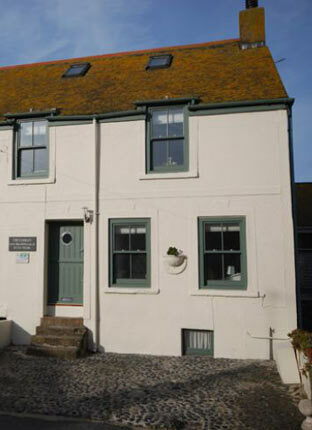 The Cobbles offers holiday let accommodation in a quaint fisherman’s cottage and former pilchard press, situated in the Downalong area in the heart of St Ives, next door to the Penwith gallery. It is also fortunate to be able to offer limited parking directly in front of the cottage. The Cobbles ideal location is only minutes from the harbour, galleries and shops. There are many beautiful sandy beaches varying in character, from Porthmeor on the north of the town enjoyed by surfers, to the family friendly beaches of Porthgwidden and Porthminster, all within just a few minutes walking distance.